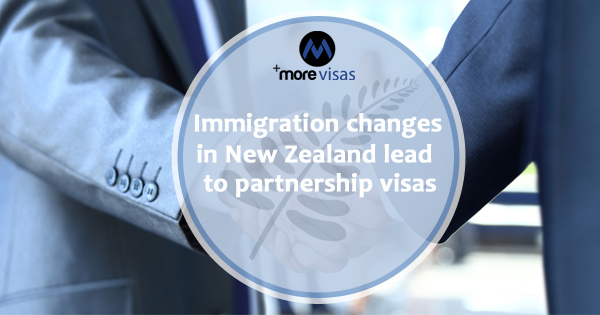 In 2016 officials of Immigration NZ were considering the ways to deal with increase of partnership visa applications. They thought that the cause of increase was the change to the skill migrant and essential skills visa categories. The changes had decreased the number of residence approvals available for two-years and made qualifying for residency difficult. It would result in more temporary migrants looking for other paths to residence. Gaining residence by using the partnership channel was an option available to many of them. Furthermore an outcome was more risk of fraudulent partnership applications because migrants wanted to establish a partnership history to meet the requirements of immigration policy. Also assessing a partnership visa application, poses a unique and time-consuming challenge to the immigration officers. The language and cultural aspects lead to creation of complexities to assess if the relationship is genuine and stable. There was an increase in the number of applications of high risk partnership which were waiting for verification. A devoted partnership application team was arranged in Auckland in February to address this issue. Further, it had a task of dealing to the backlog of readily available applications. In March totally 2012 applications were pending in temporary partnership visas. There was also a scrutiny of partnership applications having a high-risk. Details of the team operations, and its approach to verify visas, provide an insight. There was an order to interview all applicants that in New Zealand. Officers had plenty of time for undertaking necessary verification. Members also received special training in the interview and cultural spheres. This took a long time to process applications; but also brought out the valuable and importance of in-person interviews and home visits. There were many shortfalls and people could not explain the discrepancies. Even some of the Documents were forged. As months went by, results of the high-risk partnership unit reflected processing and approving fewer applications than other Immigration officials. An early analysis of the performance of the unit put up the case for increased verification approach. Also there was a suggestion to share the information increasingly with NZ Police, the Social Development and Housing Ministry of New Zealand. In February 2018 partnership work was carried out from the Hamilton office. A separate report looking into the unit operations shows that members took much longer time to process applications, exceeding the time frames of Immigration NZ. Additionally there was a highlight on tough criteria changes for work visa.